Hickory Acres - Recently updates to the home include this newly added master suite, A/C and furnace. Water softener does convey. MLS#3497947. Allen Tate Matthews/Mint Hill. Berewick - Carpets have been professionally cleaned and the home was just soft-washed so it is move in ready! MLS#3499512. Skyecroft Realty Group LLC. Home has been kept in excellent shape and is ready for a new owner! MLS#3499103. Realty ONE Group Select. Priced well below the mkt, you will not find a newly renovated home of this size (almost 2,400 sf) in the immediate area for this great price. So hurry! MLS#3498703. Keller Williams Ballantyne Area. Enjoy all the benefits of living in a master planned community like Highland Creek! Amenities galore! MLS#3498443. Wilson Realty. Park Ridge - Buy with confidence the seller is offering a 1 year home warranty. MLS#3496963. Allen Tate Ballantyne. Mallard Lake - Top of the line laminate wood on first floor. Your next home! MLS#3499433. Allen Tate University. Planters Walk - Dual vanity in the second bath upstairs also. MLS#3499031. Steele Creek Real Estate Company. So hurry! Fenced backyard with matured trees. MLS#3498851. Keller Williams Ballantyne Area. Community amenities include a clubhouse, pool and playground. Convenient to I-485. MLS#3495044. Redfin Corporation. Glenhaven - Home comes with a 30-day buyback guarantee. Terms and conditions apply. MLS#3498589. Opendoor Brokerage LLC. Reedy Creek Plantation - Sellers offer $10,000 for paint and carpet incentive with an accepted offer. Thank you for showing. MLS#3499516. CBA Realty. 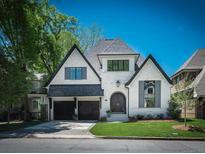 Showings are allowed Thursday, April 25 from 11:30am - 4:30pm only. No restrictions after Thursday. MLS#3498713. Colberg & Associates LLC. Don't let this one slip away! MLS#3499064. Bowman Real Estate LLC. Home sits back from Sharon with large front yard. Perfect for entertaining!! ! MLS#3497724. HM Properties. Hembstead - This 4 bedroom, 3 ½ bath all brick home is a MUST SEE! MLS#3497601. Allen Tate Ballantyne. Excellent schools & Great community pool & racquet club! Showings begin Wed, April 24th MLS#3498102. Allen Tate SouthPark. Providence Forest - Inside 485 South Charlotte off McKee Road. Providence High School District. MLS#3497125. Redfin Corporation. 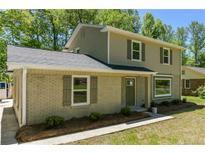 Convenient to uptown, Cotswold, Southpark, Matthews and new shopping in the Monroe Road corridor. MLS#3498824. SaussyBurbank. Oak Manor - MOVE IN READY and NO HOA. MLS#3498629. ProStead Realty. The backyard is peaceful and private overlooking a wooded area. MLS#3496345. EXP REALTY LLC. Enjoy a live, work, play community with walk-able access to Rea Farms Village with shops , restaurants, and a 77,000 square foot Harris Teeter. Don't miss out! MLS#3498806. Lennar Sales Corp.